Beebe Pulmonary Associates and Beebe Travel Medicine & Infectious Disease offices are now seeing patients at 1535 Savannah Road, Lewes. The practices occupy the offices in the front of the building, opposite Beebe Women’s Healthcare – Bayside. Beebe Pulmonary Associates includes Ercilia Arias, MD, Victor Banzon, MD, and Sevak Keshishyan, MD. The practice offers treatment and ongoing monitoring for COPD, lung nodules, pulmonary hypertension, pulmonary fibrosis, sarcoidosis, interstitial lung disease, and sleep apnea. 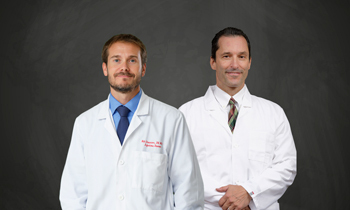 Beebe’s Travel Medicine & Infectious Disease practice includes Scott Olewiler, MD, and William Chasanov, DO. The practice offers travel medicine and necessary vaccinations prior to travel, HIV preparation and testing, STD prevention, MAC infection treatment (Mycobacterium Avium Complex), and Hepatitis C screening and treatment. The two practices previously saw patients at the medical office building on the corner of Savannah Road and 4th Street. That building was razed to make way for expanded parking and green space at the Margaret H. Rollins Lewes Campus. For more information on these practices, go to www.beebemedicalgroup.org. To make an appointment, call (302) 645-3232. Beebe Healthcare is a not-for-profit community healthcare system with a charitable mission to encourage healthy living, prevent illness, and restore optimal health for the people who live in, work in, and visit the communities we serve. Beebe Healthcare has three campuses: the Margaret H. Rollins Lewes Campus, which houses the medical center; the Rehoboth Beach Health Campus; and coming in 2020, the South Coastal Health Campus. Beebe Healthcare offers primary care as well as specialized services in the areas of cardiac and vascular, general surgery, robotic surgery, cancer treatment, women's health, and orthopaedics. Beebe also offers walk-in care, lab, imaging and physical rehabilitation services at several locations throughout Sussex County, in addition to a Home Care program and an adult activities center. For more information about Beebe Healthcare, go to www.beebehealthcare.org. To find out how Beebe Healthcare is Creating the Next Generation of Care for the community, go to www.nextgenerationofcare.org. 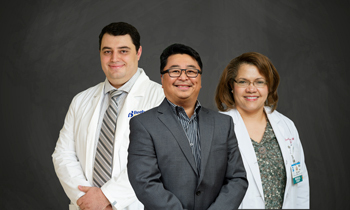 Top - Pulmonary: Shown are the physicians with Beebe Pulmonary Associates (left to right): Sevak Keshishyan, MD, Victor Banzon, MD, and Ercilia Arias, MD. Travel Med: Shown are the physicians with Beebe Travel Medicine & Infectious Disease (left to right): William Chasanov, DO, and Scott Olewiler, MD.